For more than a decade we've been watching the the USGS, the U.S. Fish and Wildlife Service, and other researchers in Alaska working to test and track bird migrations and the avian influenza viruses they carry. Nine years ago in USGS: Genetic Evidence Of The Movement Of Avian Influenza Viruses From Asia To North America, we saw evidence that suggested migratory birds play a larger role in intercontinental spread of avian influenza viruses than previously thought. And in the spring of 2015, in USGS: Alaska - A Hotspot For Eurasian Avian Flu Introduction we looked at a USGS study that examined the Dispersal of H9N2 influenza A viruses between East Asia and North America by wild birds. As the map above illustrates, Alaska lies under an overlapping of three major migratory flyways, providing an ideal place for Asian-origin avian viruses to jump to North America. From Alaska, four major flyways funnel birds south (map below) from their summer roosting grounds to Canada, America, and even the Caribbean and South and Central America. So the real surprise when an Asian-origin HPAI H5N8 virus finally appeared in North America in late 2014 - wasn't that it made the jump - but that it hadn't happened sooner. A 2014 study in PLoS One: North Atlantic Flyways Provide Opportunities For Spread Of Avian Influenza Viruses also warns that avian viruses in Europe may have similar opportunities to arrive via Iceland and Greenland. While the world's migratory flyways are predominately north-south corridors, their overlapping allows for a lateral (east-west) movement of avian viruses as well – often via shared nesting areas and ponds. Although HPAI H5N8's journal from Asia to Alaska, then to the lower 48 states, was widely assumed (being the most plausible scenario) - until now we've not had much in the way of hard physical evidence to back it up. The CDC's EID Journal, however, has published a dispatch for their April edition that provides genetic evidence supporting the idea that HPAI H5 arrived to Alaska via the Bering Straits from Southeast Asia, and then reassorted with local LPAI viruses before sparking North America's largest epizootic. A new paper from an MIT-led team demonstrates that Alaska can offer a significant foothold for Asian flu viruses, enabling them to enter North America. The research also shows that the region serves as a fertile breeding ground for new flu strains. In 2014 and 2015, an outbreak of H5N8, H5N1, and H5N2 influenza affected poultry farms in North America, resulting in the culling of nearly 50 million chickens and turkeys. The new study finds that an epidemic flu strain, which originated in Southeast Asia, was most likely carried into Alaska by wild migratory birds. In Alaska, the viruses mingled with local flu strains and eventually evolved into the deadly strains that spread south to poultry farms in Washington, Oregon, and California. “We think there’s strong evidence that those viruses moved through the Bering strait through wild bird populations and began a process of evolution that ended up with them infecting poultry populations and becoming a big agricultural issue,” says Jonathan Runstadler, an assistant professor of biological engineering and comparative medicine at MIT and the senior author of the study. The paper’s lead author is MIT postdoc Nichola Hill. Researchers from the U.S. Geological Survey, the University of Alaska at Fairbanks, Vanderbilt University Medical Center, the J. Craig Venter Institute, the U.S. Department of Agriculture, and the University of California at Davis also contributed to the study. Even as avian flu-weary poultry farmers are starting to look forward to summer for a temporary respite from outbreaks, millions of birds are flying north towards their crowded breeding areas in Siberia, Mongolia, Alaska, and Northern Canada. Some, undoubtedly, will be carrying LPAI and HPAI viruses they've picked up along the way (see Sci Repts. : Southward Autumn Migration Of Waterfowl Facilitates Transmission Of HPAI H5N1). 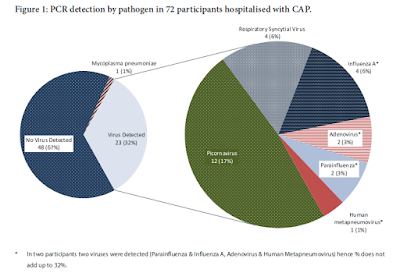 What new reassortant viruses will emerge next fall - or in years to come - is unknowable. After a big debut in 2014-2015, the following winter HPAI H5N8 was practically a no-show. Maybe we get lucky again next fall. But the rapid increase in novel influenza A viruses these past four years (H5N8, H5N6, H5N5, H5N2, H7N9, H7N8, etc.) - combined with a incredibly efficient global distribution and mixing system (migratory birds) - should have us prepared to deal with more, and possibly new, challenges going forward.